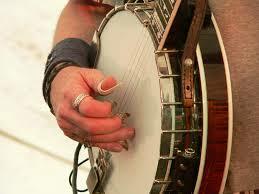 Regular price for Banjo Lessons is $120 per month – you get 30 min once a week. NO Contract -NO Registration Fee. You can go month to month (having the same time and day every week) or lesson to lesson (possibility of changing schedule every week). Best age to start banjo lessons is 7 years old. This instrument has very happy sound! You will love it! Most of the time we teach our student how to read banjo music. In some cases students (mostly adults) want to learn only cords or learn how to play particular song. Our teacher will adjust educational process to help you achieve your goals. We teach a lot of adult and even senior students. You don’t have to take whole month of lessons. You can schedule one lesson at a time to fit your busy schedule.